The 'Necropolis of Bet She'arim - A Landmark of Jewish Renewal' is the archeological site of a Jewish town and 33 ancient rock-cut Jewish tombs. The site covers an important period in Jewish history, being the place where Rabbi Judah the Patriarch lived and where the preferred burial place for Jews was moved in 135 CE after they were barred from the Mount of Olives during the Roman occupation. The burial sites are spread out over 3 sections. They contain inscriptions written in Greek, Hebrew, Aramaic and Palmyrean, showing the exchange with the Roman world. 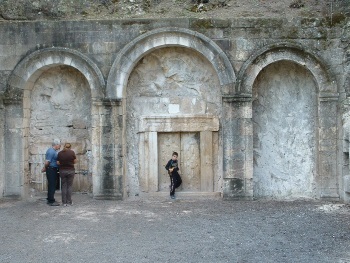 The site is located 20 km east of Haifa. It is part of Beit She'arim National Park. 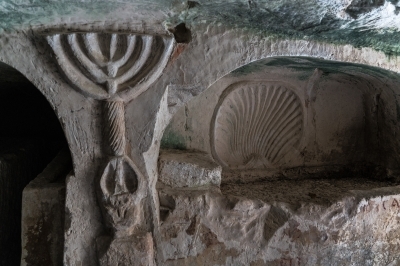 The Necropolis of Bet She'arim: A Landmark of Jewish Renewal is a cultural UNESCO World Heritage Site in Israel. It was inscribed into the list in 2015 and is part of Bet She’arim National Park. Unlike many of the other World Heritage Sites in Israel, it primarily deals with post-Christian era Jewish Heritage, so it only tends to attract Jewish visitors. Nonetheless, it deals with an interesting part of Jewish history and is worth a visit if you are in the Haifa area. Bet She’arim is located approximately 20km from Haifa and it easy to visit the park on a day trip from Haifa, Tel Aviv, or Jerusalem. If you are planning to visit other World Heritage Sites in the area, it is in close proximity to Bahá’i Holy Places, the Sites of Human Evolution at Mount Carmel, Tel Meggido, and Acre. I was lucky to be in Israel shortly after inscription of Bet She'arim, otherwise most probably I wouldn't go there. That would be a pity, because this place is interesting, definitely above average of Israeli WHS. It is also very popular among locals – during our visit the site was full of people, but fortunately not overcrowded. Important note – although the site is relatively easily reachable, if you go by car do not be mistaken by the name (as I was) – the site is not near the village of Bet Shearim, it is on the suburbs of Kiryat Tivon, small town not so distant from Haifa. It should not be surprising that the site is popular among Jews – after destruction of Jerusalem Temple the most important Jewish court- Sanhedrin – was moved here and the place was considered the most prestigious necropolis for well-off Jews when the cemetary on Olive Mountain was not accessible. That popularity stemed from Judah the Nasi (main codificator of Mishna, Jewish code of laws), who wished to be burnt here. The necropolis of Bet She'arim is not big and the core area may be visited in about 1-2 hours. The main attractions are of course the tombs, some of them gathered in caves (the largest burial cave is 75m long and wide). Unfortunately, despite warnings like „Whoever dares to open this tomb will die the horrific death”, literally all the tombs were robbed, even if they were protected by huge stones. Anyway, the remained sarcophagi are incrusted and seeing them is really interesting. This site was a sacred Jewish burial place during the late Roman period, when Beth Shearim was among the most significant Jewish sites. 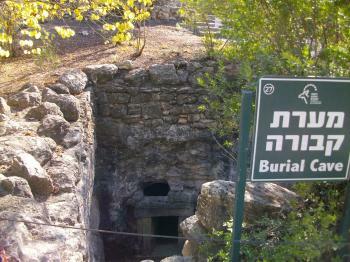 The site became important when Rabbi Judah the Nasi was buried there, which attracted many other Jews who wishes to be buried nearby. The site is full of catacombs where you can see ornated sarcophags covered with Greek inscriptions. Some of the entry gates are also impressive. The site is not too big and can easily be covered in a few hours. The site is conveniently located next to Nazareth at the Yizrael Valley, where you can also visit Seppheris and Megiddo, itself a WHS.